Verdict: Well worth the money. My collision in January 2003 was a mixed blessing. The upshot of the deal was I got a newly painted hood that was severely pelted by stones and road debris from commuting. I had considered a hood deflector or a car bra. 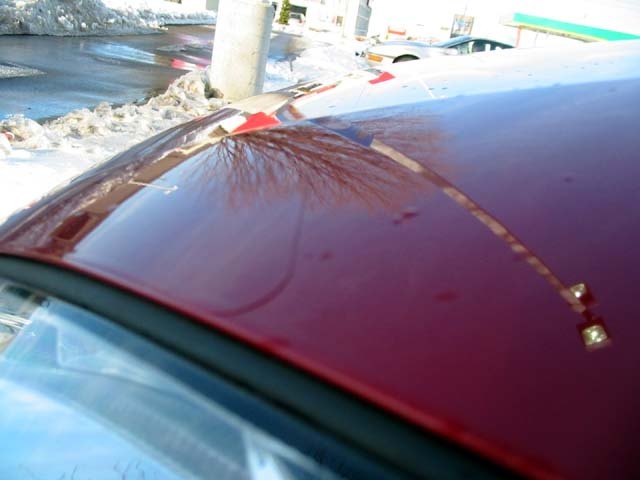 I wasn't happy that a hood deflector has a tendency to come off/apart during freak wind gusts or a car wash. Nor was I happy with a car bra that may flutter if improperly mounted causing scratches. I decided to look into the 3M Scotchcal Paint Protectant Film (also known as a "clear bra"). Think of it as a thick sheet of plastic that adheres to the surface of your vehicle. 3M has marketed this product to those who want the ultimate in stone-chip protection but don't want an ugly piece of plastic or fabric adorning your vehicle. Theoretically, you can apply this film all over your car. 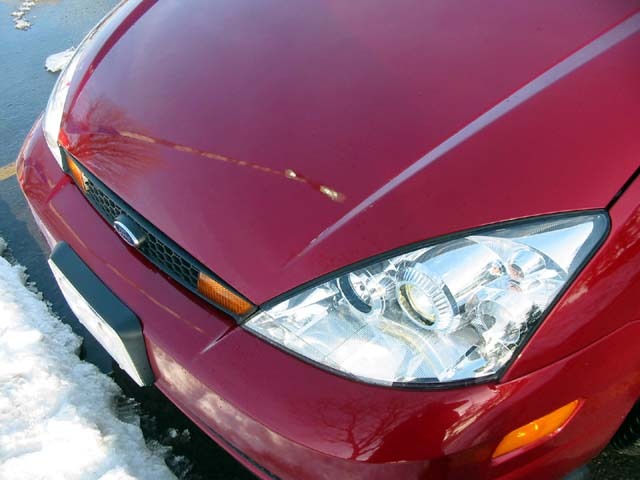 For practicality, you apply the film to areas subject to damage like your hood, bumper, rocker panels, etc. A variant of this film is one geared for headlights! The film is available through 3M authorized applicators, some car detailing/tinting shops, or car-care websites. You can do the installation yourself; however, it's not recommended for the casual do-it-yourselfer. Most of the times, the inexperienced shops and websites will sell you a pre-cut kit. Various people have told me that the authorized/experienced people will use an uncut film and custom cut the sheet to your vehicle. I called 3M Canada (1-800-364-3577) who gave me a list of authorized installers (which there aren't many, if you live in the 519 area code). I chose Trim Line of Burloak, located in Burlington, Ontario. The installation took about an hour. The cost of the entire installation was about $200. Since I put it on in April 2003, it's held up very well. I like how I can't see the film from afar. The film will not spare you from really heavy pieces of debris e.g. metal scraps from a transport going 120 km/h on the 401. Other than that, it's held up well to my commutes -- a stark contrast to my hood before the repaint. It's a worthy item for your vehicle, if you can afford it and want your vehicle looking its best.